very weekend in the country there is at least one coin show within driving distance of a major city. If you have coins for sale or have a "want list" of coins you need for your collection, a coin show is the place to be. If you have coins for sale, make a detailed list of the. If they are "junk" silver, just list the face value; it is not necessary to list all the dates. Then go around to the various dealers and ask what they paying for "junk" silver. The prices will vary only slightly, from approximately 5.2 times face value to as much as 5.5 times face value (based on prices as of early February 2006). Prices change daily on silver and gold. With anywhere from 200 to 400 dealers at a major coin show, there will certainly be competition to buy coins from the visiting public. Thus, when offering coins for sale, you will probably not get "ripped off." If you have collector coins or coins that have been certified by one of the major certification services, such as ANACS or PCGS, make a list of those coins and show them to several dealers. Most will ask you how much you want. In order to avoid being "taken," look up the values of such coins in one of the free newspapers offered at the coin show. Let us say you have an uncirculated GSA-holder 1884-CC dollar listed in the paper by several dealers at $200. When asked how much you want, you can reply, $200. The dealer will probably counter by offering you $175 or so. That is a perfectly respectable offer. If you want more value, do the same with more than one dealer. If your best offer was $185, that's the price you will eventually get. If you have absolutely no idea what you have in a cache of tokens, medals, foreign coins or obsolete currency, look for dealers with that type of material in their display cases. After all, they got that material by buying it from someone. Statistically, most of what people have accumulated is of little value, but now and then, that old banknote that Grandma Molly received as a girl may turn out to be a $5 Educational Note. In mint condition, it may be worth more than $2,000. Or that saloon token from Arizona Territory may be a $250 item. If you don't plan to buy or sell any coins, a day trip to a coin show such as the Long Beach Expo (held three times a year) or the annual FUN (Florida United Numismatists) show or the annual ANA (American Numismatic Association) convention offers a day-long experience of wonderment. Usually the shows include exhibits of rare and beautiful coins and currency. They offer showcases for various foreign mints that offer coins, medals and currency for sale. 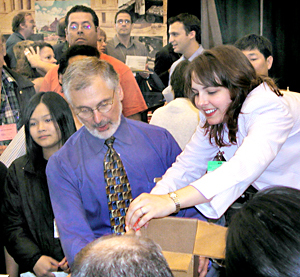 Most larger conventions offer free seminars and lectures. They also host a major auction. Sitting in on an auction is very educational. The catalogues are well illustrated and are free to those who sign up to bid. There is no obligation to actually buy anything. The pace is fast, and coins worth thousands of dollars are often sold within seconds. Most of the larger conventions offer junior tables where youngsters can get a variety of free or inexpensive items such as albums, catalogues and even coins. Coin suppliers are also found at these shows with a wide range of books and other materials used by collectors. The major numismatic publishers attend these shows, offering samples of their newspapers and magazines. For the next major coin convention coming to your area, contact this writer at slcc3@aol.com.